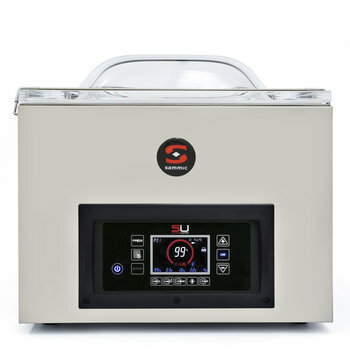 The Sammic SU range of vacuum packing machines features vacuum control by sensor with the display of all the vacuum program values on a 3.9" LCD color screen. The professional Sammic vacuum packing machines enable the extension of the shelf life of raw or cooked foods, without weight loss, drying out or mixing of flavors and odors. Both the chamber and the body are made of stainless steel. The cordless sealing bar allows simple and easy cleaning of the chamber. All models are equipped with Busch pumps and offer a double seal system to ensure the durability of the packaging. Equipped with a digital control panel, the vacuum is controlled by a sensor with the display of all the values for the vacuum program on a 3.9" LCD color screen. 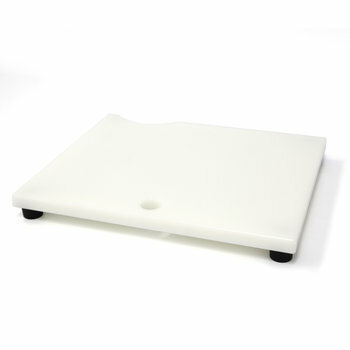 The backlit touch pad in anti-scratch plastic is protected against the splashing of liquids. All models have the capacity to store 25 different vacuum programs with the possibility of locking the programs to prevent unnecessary changes by the operator. 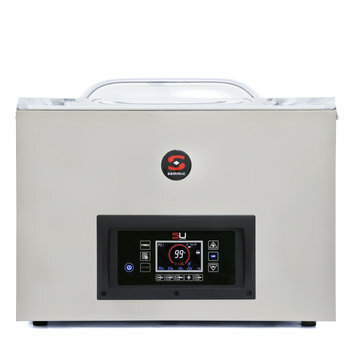 The SU vacuum packing machines are equipped with a phased vacuum program for soft, porous products, in which the vacuum process makes several pauses before reaching the final programed vacuum which allows the removal of air trapped in the product. 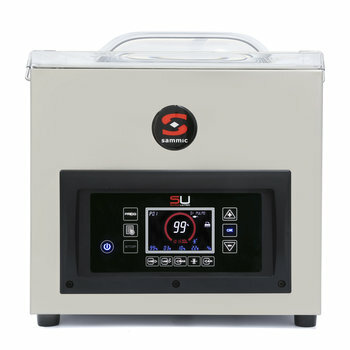 The SU vacuum packing machines are equipped with a new system for detecting the evaporation point for sauces, soups, fruits, red meat, etc. which automatically stops the vacuum process, preventing the spillage of liquid into the chamber and ensuring the maximum possible vacuum. This prevents the dehumidification of the product and contamination of the oil within the pump. As a result, the time needed to create the vacuum is the optimal time for the product to be packaged. The optional sealing "plus" system allows you to increase the electrical power needed for sealing metal type bags by simply pressing a key. 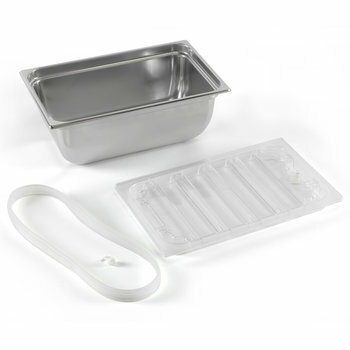 All models are able to connect to the Vac-Norm external vacuum kit for vacuum packing in trays specifically designed for this purpose, with sensor control and automatic decompression for removal of the Vac-Norm pipe at the end of the cycle. 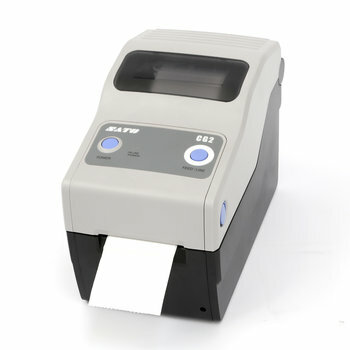 A label printing system allows you to connect a printer to the vacuum packing machine. 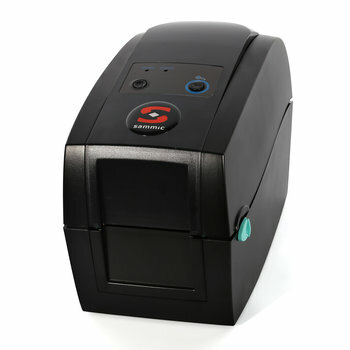 The printer then prints an adhesive laminated freeze-proof label. 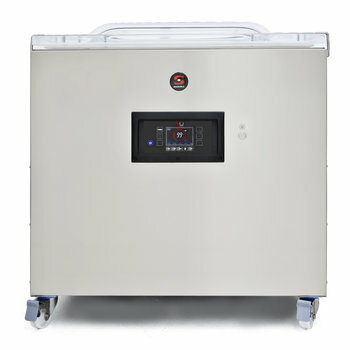 In addition, the Sammic Vac App, which enables the operator to connect a mobile device to the vacuum packing machine via Bluetooth, facilitates the entry of text content onto the printer labels for HACCP control. 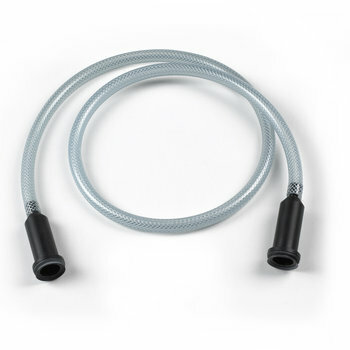 The installation of the gas injection system is optional for all the models in this range. 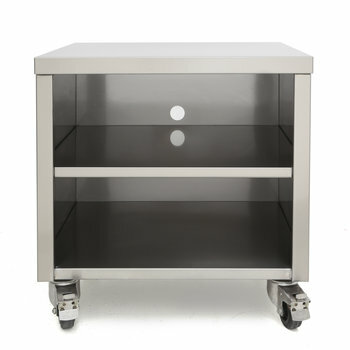 All models offer special features such as the option to carry out packaging cycles only for the sealing of bags, adjusting to a lower vacuum, or marinating products. Pressing the pause button allows you to freeze the vacuum phase and start up again from the same point. All models in the SENSOR ULTRA range have a soft air inlet valve into the chamber for progressive decompression. This is useful to prevent the piercing of the bag by sharp-edged products. 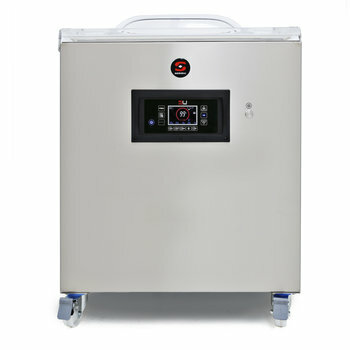 The Sammic professional vacuum packing machines have a pump-drying program, which allows the extension of its useful life, and also a working hours counter indicating when to change the oil. SEALING BAR LENGTH(in) 13" 17" 17" + 17"
NSF LISTED. ETL IN PROCESS AS FOR JUNE 2017. Tabletop model. 10 m³/h. 320 mm. Tabletop model. 16 m³/h. 320 mm. Tabletop model. 20 m³/h. 420 mm. 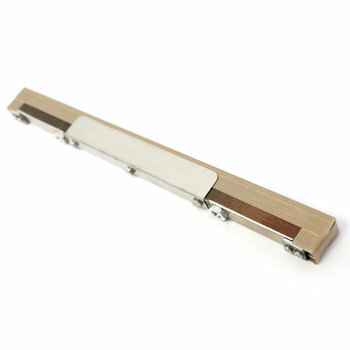 Tabletop model: two parallel sealing bars of 420 + 420 mm. / 17"+17"
Tabletop model. 20m³/h. 420+420 mm. Floorstanding unit. 100m³/h. 530+848 mm. 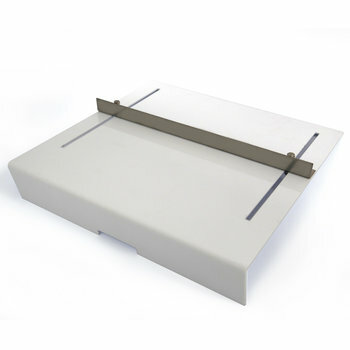 High performance model with tilting cover. Double chamber vacuum packing machine. 100m³/h. 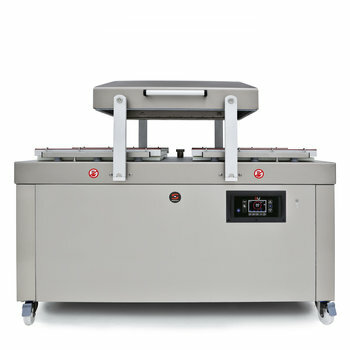 Double chamber vacuum packing machine. 160m³/h. 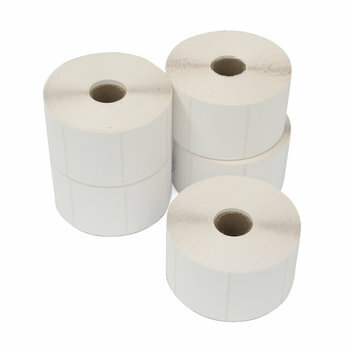 Protected thermal labels. 4 x 1,000 label pack.